Typically, the majority of the reviews published here have a score on them. (exceptions usually include applications or compilations of already reviewed titles) For reference, here’s generally what I mean by each number, for those who still aren’t sure about my scoring system. I don’t usually put too much focus into the scores themselves, (preferring to explain the reasoning on why the game is good/bad instead) but it is something that I feel is necessary to give readers a good idea on what to expect. A score of 10: Reserved for games that I feel deserve to be in everyone’s gaming library. As a reviewer, I try not to give games such a score unless I truly feel that the games deserve it. No game can ever be truly perfect, obviously (otherwise there would be no need to play anything else! ), but that doesn’t mean there can’t be games out there that deserve a spot in your library. A score of 9: Usually means that the game is strongly recommended for fans of the genre it targets, and is just a blast to play for those who may be new to said genre. Not for everyone usually, but still a well made, fun experience worth a purchase. A score of 8: A fun, well made game that targets a specific genre and mostly gets the job done. May not be the best game for those outside of fans of the genre, and it may have a few flaws, but it’s likely worth a purchase for those who are interested. A score of 7: A game that misses the mark on some things, but manages to just be “OK”. Whether you want to purchase it is up to the individual willing to accept said game for whatever flaws it may have. A score of 6: A flawed game that could have its fair share of fans or would be good if you get it on sale. Usually only recommended for price alone or limited appeal. A score of 5: Decent, but very flawed game. Again, only recommended if the price goes down or if you are a huge fan of the series/gameplay/developer and are willing to look past said issues. A score of 4: Likely a game that you shouldn’t be playing unless you are really curious. Unless the price goes down a lot or for curiosity purposes, you should probably avoid it. Mostly given to games with not enough length for the price, or for those that aren’t fun to play. A score of 3: Now we are getting into bad territory. Usually is a very flawed game with limited content, and something I don’t recommend getting unless again, you want to look past the flaws. A score of 2: Only given to games I find unbearable to play, and I strongly encourage that you avoid them unless you are dying to see it for yourselves or want to give it a try to form your own opinion. A score of 1: I’ve rarely given a game such a low score before, but if I do, that means I want you to avoid it at all means necessary, even if it somehow becomes free and even if you are really curious. Saved for games that are absolutely unbearable to play with no redemption possible. A score of 0: Not existing at all is a better fate for such a game. This will only be given to games in extreme circumstances, usually because there’s either no way that the game was made to be anything but deliberately awful, or because the game has so many glaring flaws that it’s unplayable to almost every degree. 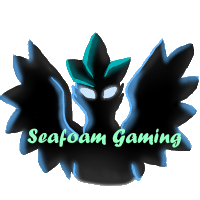 So that’s the Seafoam Gaming review scale, for those who were wondering! Of course, like always, reviews are opinions only, so you are welcome to disagree. This is just a reference for those interested in what the numbers mean, to prove that they really aren’t randomly made.